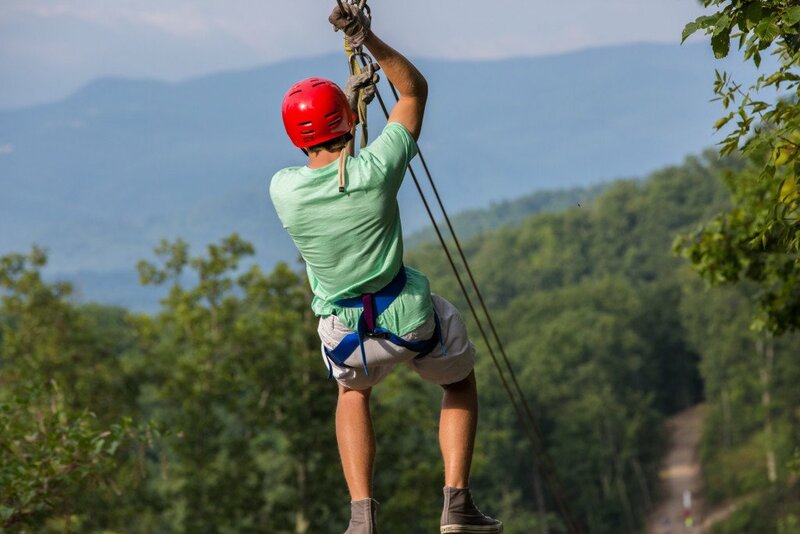 With a zipline that is over 3,400 feet long and a maximum height of 400 feet above the ground, this attraction is sure to be memorable and exciting! 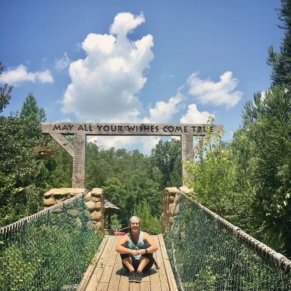 Although the $99 price tag may be a bit difficult to stomach, it is a great price when compared to other comparable ziplines and ziplining in general. 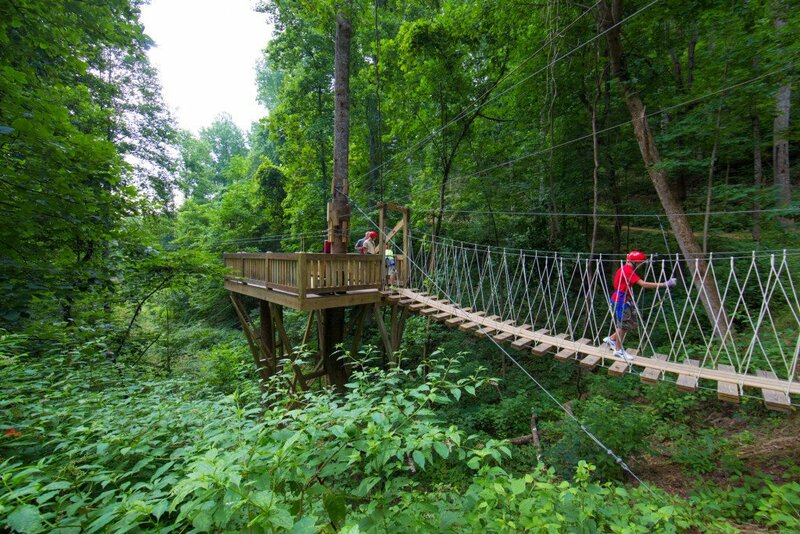 This is one of the best attractions in the entire Smoky Mountains region and you and your family will not be disappointed. 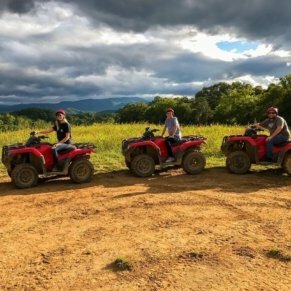 If you are looking for the perfect intersection of adrenaline-pumping adventure and breathtaking Smoky Mountain scenery, look no further. 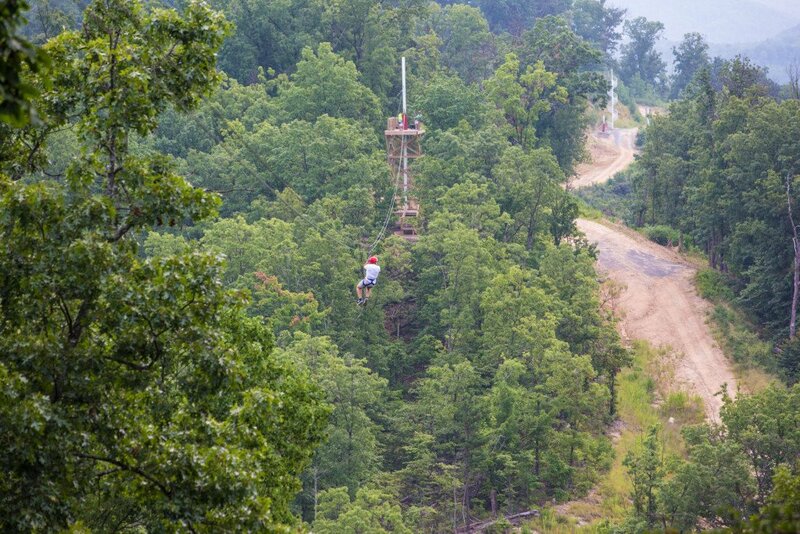 The Legacy Mountain Ziplines are ideally situated on 400+ scenic acres just outside of Pigeon Forge, Tennessee. 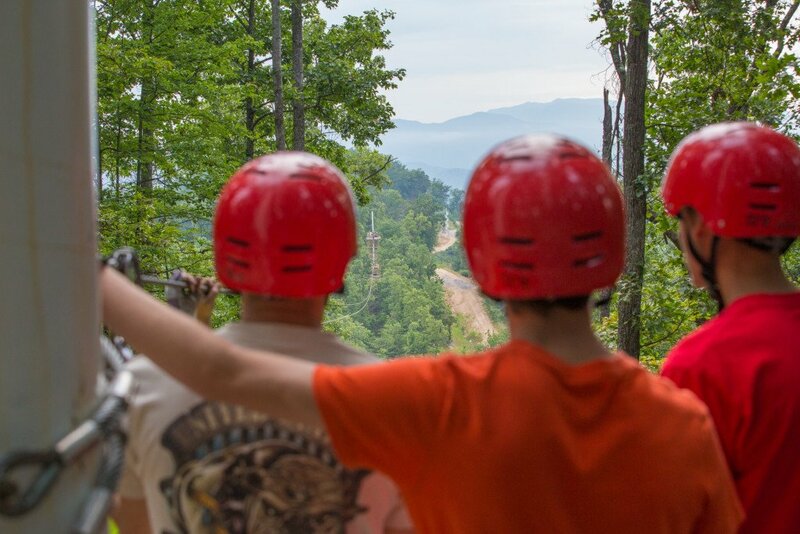 The mountainous ziplining tour features seven incredible ziplines, three rope bridges, and panoramic views of the surrounding Smoky Mountains. 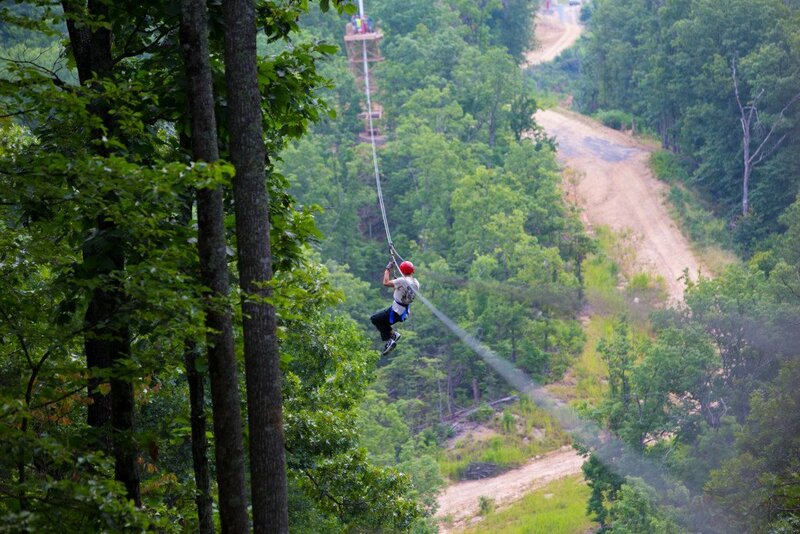 The seven ziplines range in length from 450 feet to over 3,400 feet! 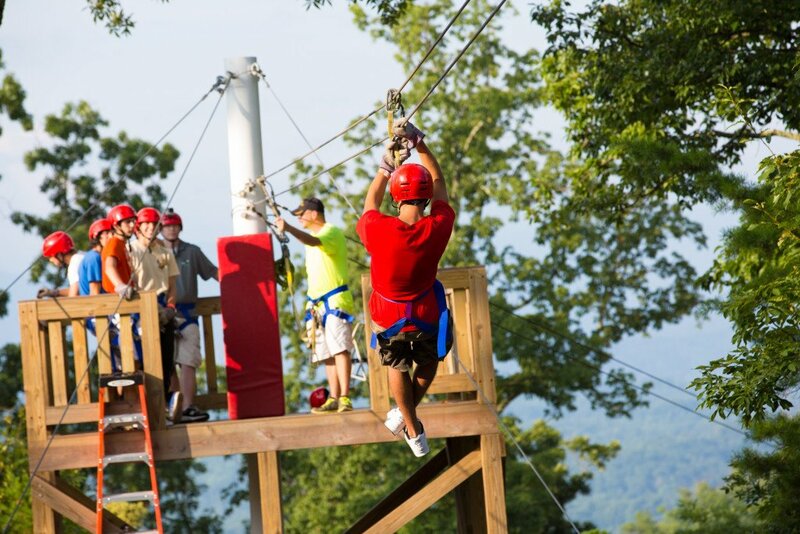 You and your family are sure to enjoy flying 400’ above the treetops at speeds of over 40 miles per hour on 4.5+ miles of ziplines. 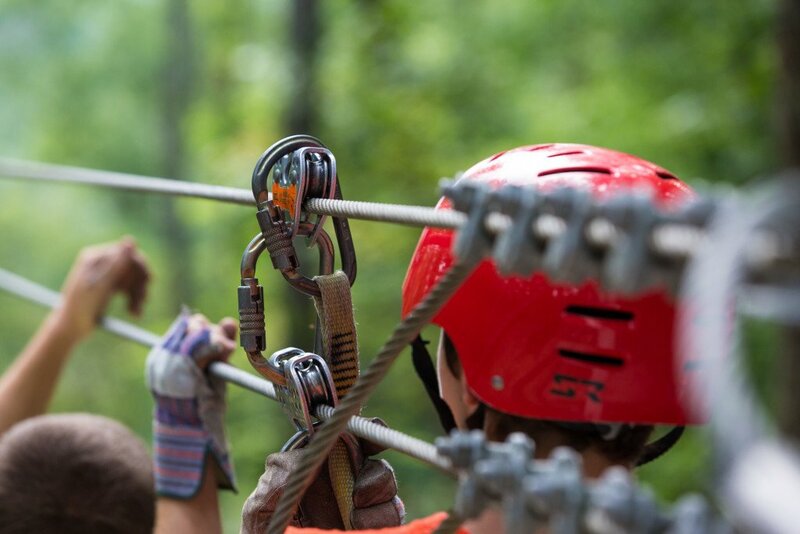 The canopy tour, which takes 2.5 to 3 hours, offers you incredible views of Mount LeConte and The Pinnacle. 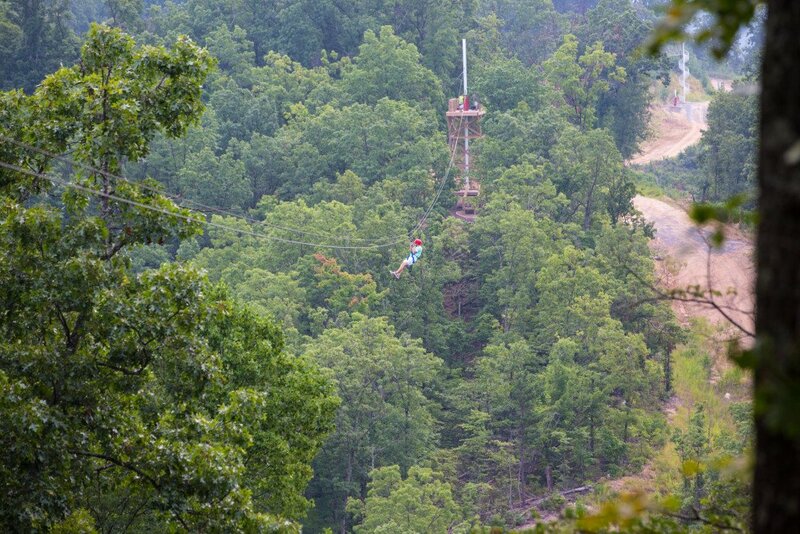 Legacy Mountain Ziplines are one of two canopy tours in the Smoky Mountains region that utilizes a double-cable system. 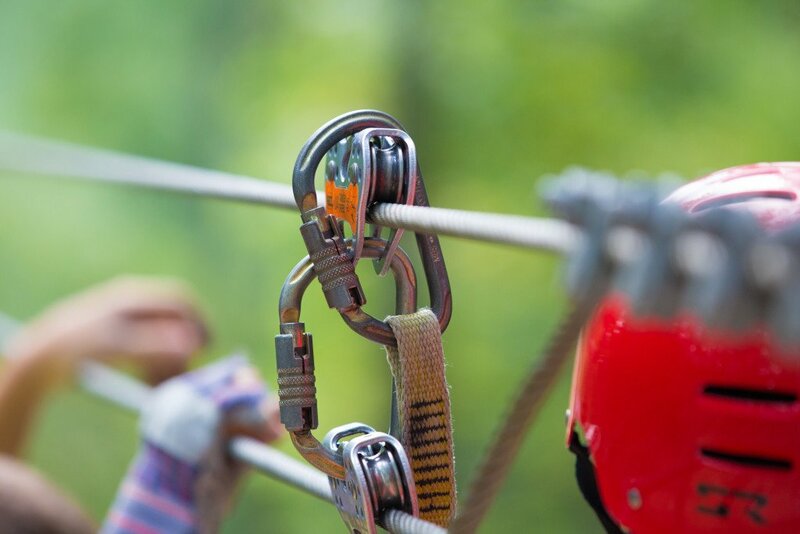 The redundant, two-line system make it nearly impossible for a rider to become separated from the zipline and adds an extra layer of safety that the majority of canopy tours in the area do not have. Each of the cables, which are so long a helicopter was used to install them, are made of solid steel capable of supporting an automobile. 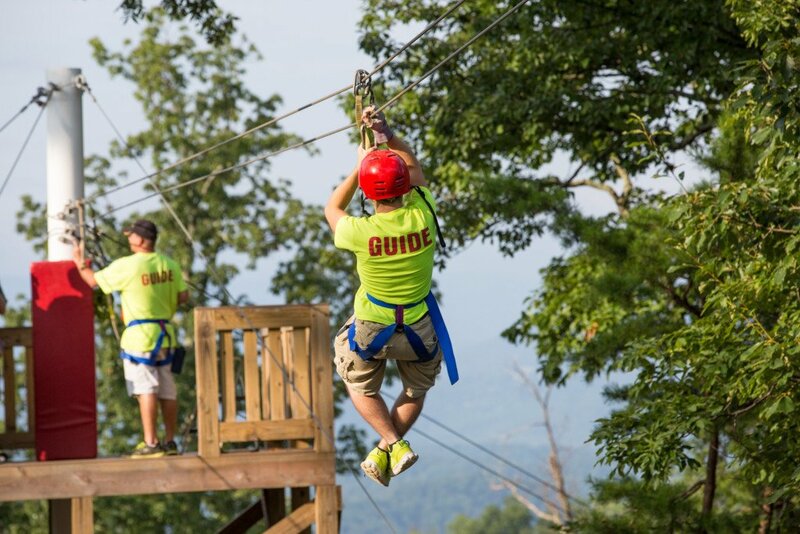 Although they kept the mood light and fun, we noticed that the Legacy Mountain Zipline guides were VERY cautious and safety conscious at all times. 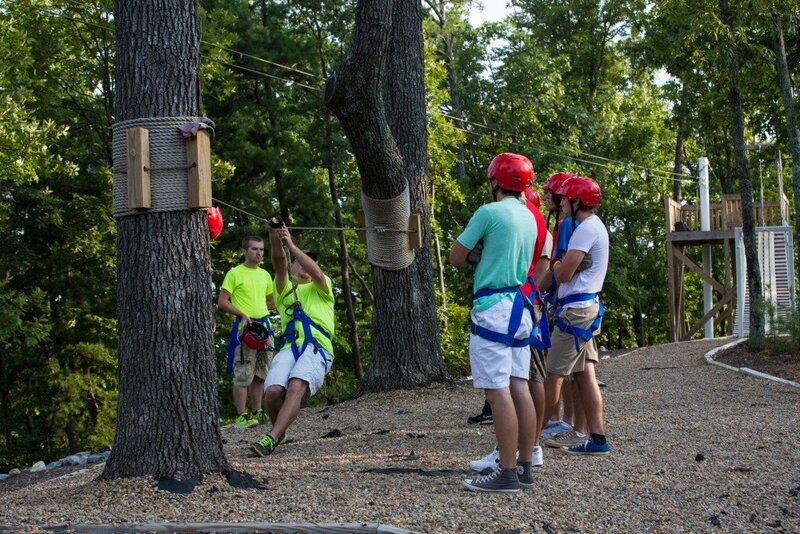 Each of the guides has completed a 40-hour zipline safety certification course and is ACCT certified. The guides followed and carefully enforced all of the rules to ensure that we stayed safe at all times. 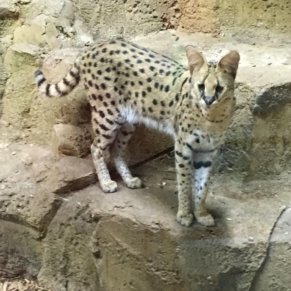 During summer months, the company runs a seasonal special for the first tour of the day. 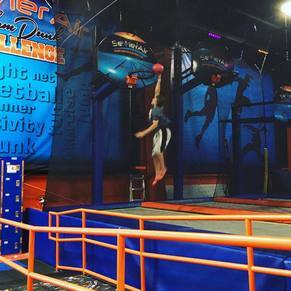 The middle tour is the hottest tour of the day, which is bad in the summer, but great in the winter! 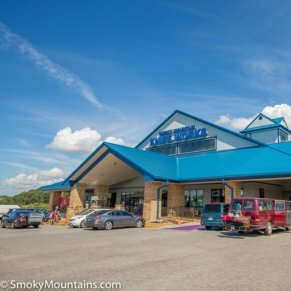 From the main Parkway in Pigeon Forge, turn on Dollywood Lane at Traffic Light #8 (you can only turn one way). 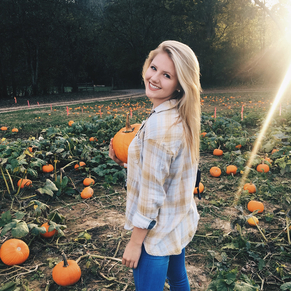 Continue for 0.3 miles and make a right at your first traffic light, which is Dollywood Lane. Continue on Dollywood Lane, which turns into Upper Middle Creek Road for 5.4 miles. 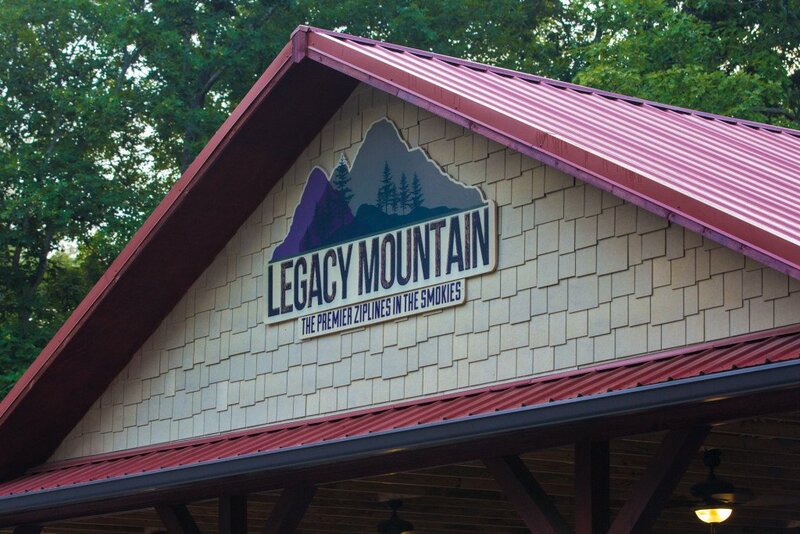 When you see a sign on a stone gate that says Legacy Mountain Resort, turn Left. 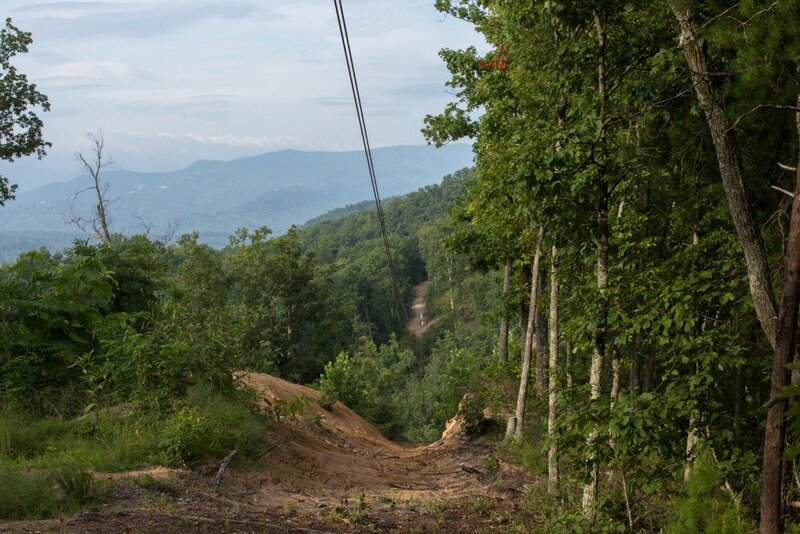 Continue for approximately 100 yards around two curves and Legacy Mountain Ziplines will be on your right side.